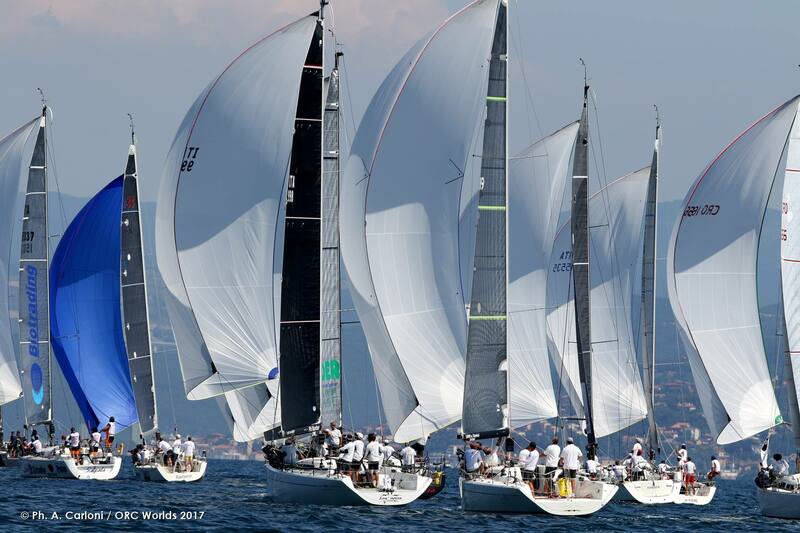 In class A, Sheraa Yacht Club Hannibal (Maurizio Poser’s Swan 42) holds the lead and the Cookson 50 Mascolzone Latino helmed by Vincenzo Onorato surpasses Altair 3, Sandro Paniccia’s Scuderia 50, by one point. In class B, Nube, Croatian owner Diego Zanco’s X-41 maintains a solid lead, while Bewild, Renzo Grettesi’s Swan 42 reaches place leaving behind Massimo De Campo’s twin, Selene Alifax thanks to the tie break calculation. In class C, Mummy One Lab Met (Alessio Querin’s Farr 30 is still first, behind him Giacomo and Franco Loro Piana’s Farr 30, Sease, and Estonians led by Aivar Tuulberg on Katariina II (Arcona 340) rise up to third place in the virtual podium. The easiest start in today’s race was Class A, with 17 boats at the starting line. The first start is a good one and after three laps of the course with wind at 255° Vincenzo Onorato’s Mascalzone Latino wins the race. Class B has a slower start with three tries to tame the fleet and only the threat of more individual disqualificatoins for false starts gets all 49 competitors behind the starting line. Tactician Andrea Bewild with Swan 42, Bewild, breaks away earning the second victory of the day for this Championship. For class C, the Racing Committee requires four starting precedures before finally reaching a valid start for the fleet of 50 boats. The race winner, for the second time in a row, is Roberto Monti’s Melges 32, Airis. Tomorrow’s forecast calls for more weak wind conditions. For this reason, the Race Committe has postponed the start time to 1:00pm hoping for more consistent wind in the afternoon.